This is an interview with goop and all property belongs to them. 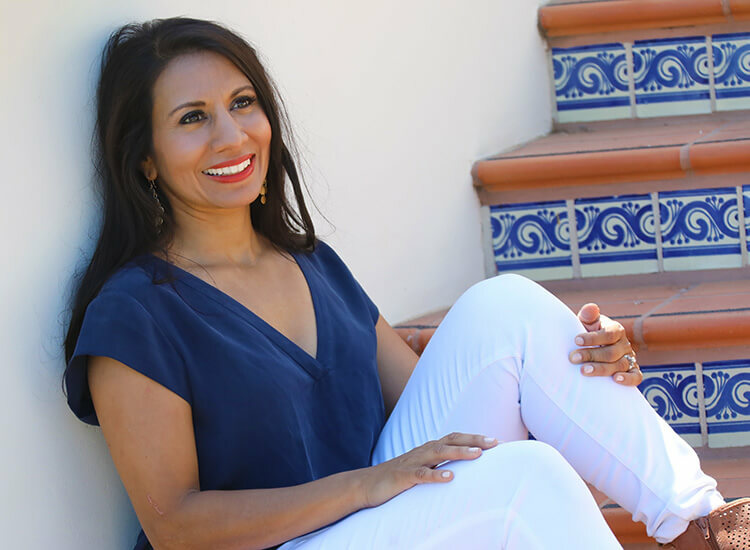 After eight years of treating over 10,000 women in her functional medicine practice, Dr. Taz Bhatia began to see a pattern emerge: There are, she believes, five predominant types of women. She calls them “power types,” and she wrote about their potential health implications in Super Woman Rx: Gypsy Girl, Boss Lady, Savvy Chick, Earth Mama, and Nightingale. Yes, we raised an eyebrow the first time we took the quiz in Bhatia’s book (which you can do online), but it was far more comprehensive than we expected. And the power types surprisingly reflected the state of our health more often than not. At Bhatia’s practice, CentreSpringMD, in Atlanta, they do a traditional and thorough inventory of a patient’s history, a comprehensive physical exam, lab work, functional and integrative testing, and so on. But for many women, the power types serve as a shortcut to figuring out physical and emotional imbalances and how they might eat, supplement, move, think, or rest differently to bring themselves back to equilibrium. Of course, it’s not quite that reductive, and these categorizations aren’t a one-size-fits-all or five-sizes-fit-all deal. But Bhatia’s work is a really good starting point to better understanding your body and what it needs. A Q&A with Taz Bhatia, M.D. Q: What are the five power types? When balanced, my Gypsy Girls are ethereal women. When you meet one, you feel like you’re talking to someone who floats in a space between the ground and the sky. They are the women who have a creative eye, a unique look, a whisper of magic about them. They are sometimes not quite here but somewhere else, living in the recesses of their minds, pulling out amazing works of art, literature, photography, fashion, style, you name it. The very gifts that empower Gypsy Girls, however, become a challenge when they stay in that space too long. They can become disconnected from their own minds, hearts, and bodies—ignoring or missing the warning signs and body clues that pop up periodically. That creative mind can give way to irritability, anxiety, and obsessive thoughts. Driven, ambitious, and precise, Boss Ladies speak quickly and definitively. They are present, focused, and attentive when they come into my office, with concise yet detailed responses. A Boss Lady tends to be a commander, displaying many marks of leadership, including a commitment to her team, an enviable work ethic, and a strong drive to tackle goals and lists. Her accomplishments are quite impressive but may come at a price. Some stay up late, wake up early, and/or skip meals, but still press on. Boss Ladies are typically successful from all of this pushing, but the wear and tear of this power type can be devastating when it’s out of balance. The Boss Lady is prone to breakouts and her energy can take sudden dips. Out of balance, my Boss Ladies are prone to digestive distress, which they often ignore. This digestive discomfort can affect their hormones, specifically the thyroid—leading to fatigue, hair loss, and yo-yo weight patterns. Research has linked thyroid disorders to irritability, depression, and anxiety. One of the earliest warning signs that a Boss Lady is out of balance? Anger! While they are normally rational and calm, Boss Ladies out of balance can be easily irritated and quick-tempered. This power type is a blend—she has elements of a Gypsy Girl and a Boss Lady but does not fit neatly into either type. Many of the patients I’ve worked with are a fusion of these two types, a unique mix of the creative and the logical. Whether they are businesswomen or inventors, freelancers or consultants, they blend creativity with a strategic, tactical savvy that is enviable. They are often fun and edgy innovators. In balance, they are creative, imaginative, strategic, and logical. Out of balance, they can dance between anxiety and anger and are prone to adrenal and thyroid imbalances and gut issues, like reflux and irritable bowel syndrome. The Earth Mama is usually the connector. She brings everyone together, hosts the best parties, and is the one everyone turns to for comfort and support when there is a problem or conflict. She is the heart of her home, her neighborhood, and her extended family. Many Earth Mamas don’t realize the tremendous toll caregiving can take on their psyche. If you don’t protect it and guard it, your energy quickly runs out, leaving you exhausted and depleted. As women, we are all wired to be givers to a certain extent, but my Earth Mama patients have the toughest time keeping it all in balance. Nightingales give their energy to the world creatively and wholeheartedly. When in balance, I see my Nightingales take that spirit of giving and glow. However, Nightingales are indeed human, so their energy doesn’t come in unlimited quantities. And when they finally do get depleted, my Nightingales get sick—usually from chronic wear and tear on their immune systems. They may lose weight from chronic stress, start exhibiting anxiety or depression, and begin battling fatigue. In many ways, all women have aspects of Nightingales. I think we all want to save the world in large or small ways. That may be the ultimate source of feminine power: We want to fix and improve and elevate. Any society that takes these opportunities away from women suffers. This is a unique type, a blend almost of all types, but with strong streaks of an Earth Mama and the imagination and hope of a Gypsy Girl, occasionally with a splash of the Boss Lady’s commander flavor. Q: Do you see patients who don’t fit into one of the power types or who straddle more than one? A: Definitely. Really, all of us could be any one of the power types at different phases of our lives. When I first—jokingly—named these five women, I thought of them as our shadow selves. At different times, we’ll have a stronger sense of one of these five people in us than the others. So at this particular moment, who are you most dominantly? If you’re straddling power types, look at both plans, try them out, and see what works for you. Q: How can knowing your power type inform your lifestyle choices or your health? A: It’s really important to understand who you are emotionally, physically, hormonally, and nutritionally. You carry all of this information, and it dictates the way your life will play out. The power types help you connect the dots. 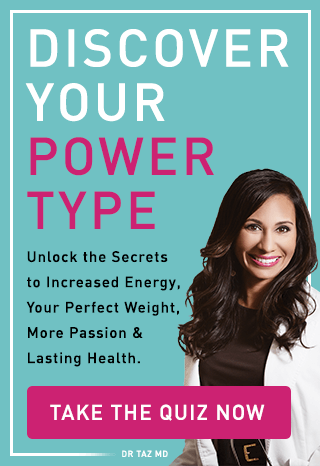 Knowing your power type gives you a window into your chemistry and emotional landscape so you can take some of the guesswork out of how to eat and exercise, even what kind of beauty regimen to follow or what supplements to consider taking. The power types are designed to help you navigate the world of wellness and pick the tools you need. The magic happens when you get to a place where your health is really personalized so you’re not mimicking a trend or what someone else is doing. Q: What diet, supplement, and lifestyle adjustments do you typically recommend for each power type? Many of my patients have adrenal or thyroid issues. For the diet, we focus on adding in protein, like nuts, seeds, small servings of meat, lentils, or beans; protein spaced throughout the day helps to manage adrenal cortisol dysfunction. We set up more-structured eating plans so they’re eating at consistent intervals. Cutting out gluten can also help because gluten is hard to digest and can be inflammatory for some. A lot of Gypsy Girls do well on magnesium, B vitamins, or herbs that balance cortisol. One of the biggest challenges for Gypsy Girls who like to stay up late is maintaining regular sleep. Magnesium can help them calm down so can they get into a nice, consistent sleep cycle. Many also do well with the modalities that force you to get grounded, like acupuncture, massage, or craniosacral therapy. They take in and harbor a lot of stress because they’re usually commanding, directing, or leading, and their digestive system is often weak. Going dairy-free and watching sugar to an extent may help. Boss Ladies should include a lot of gut-supporting drinks or tonics, fermented foods, kombucha, kefir, or bone broth, which all help to balance the gut. I like to add in apple cider vinegar and probiotics to support digestive enzymes. I encourage patients to set aside two to three hours a week where they force themselves to take care of themselves and really de-stress. A lot of people just want to do high-intensity, adrenaline-inducing workouts, like spinning or running marathons, but often their bodies are craving calming energy to help settle the gut and manage the thyroid. So add in things like yoga, Tai Chi, or Qigong. Shirodhara is an old Ayurvedic treatment that involves dropping hot oil right on your third eye, on your forehead, for instant relaxation. An old-fashioned hot-oil scalp massage is also great: Warm up oil and drip it on the forehead and vertex of the head, right at the scalp. A lot of my Savvy Chick patients do best following a combination of the Gypsy Girl and Boss Lady plans and going gluten- and dairy-free. We also focus on healthy proteins and structured eating. We add in B vitamins for energy and to help balance adrenal and thyroid issues. They can benefit from acupuncture, massage, correcting sleep, and, most importantly, doing grounding work to know which part of them is out of balance. Is it that creative side or the go-getter? Identifying what’s off will help you know how to shift naturally. Their biggest problem is usually with insulin. They will store fat or hold on to fat, or they’ll have elevated blood sugar. Watching high-yeast and high-sugar foods becomes super important. They typically need to be sugar-free, including artificial sugars. A fasting interval, up to fourteen hours overnight, can be beneficial. It’s more about cutting off when you eat before bed rather than eating breakfast later. We are metabolically less active as the day progresses. If you’re already insulin-resistant and you’re consuming a lot of food when your metabolism is less active, you may stay in fat storage regardless of how few calories you consume. Ideally, to get out of a pattern of eating super late, you find something else to replace it, whether it’s sipping tea or even journaling or meditation. Earth Mamas do well on more vigorous exercise, something that gets their heart pumping and the sweat rolling, and many feel their best when they’re working out every day for twenty to thirty minutes. They should try to move throughout the day, too. Lifestyle-wise, the biggest challenge tends to be boundaries. Often Earth Mamas are not being intentional about taking care of themselves because they’re always worrying about everybody else. They need to be nurtured the same as everybody else. Seeing a counselor or a psychologist or spending more time out with a best friend or significant other can help. Remember that Nightingales are a blend of all women; they’re mission- and purpose-driven. They are self-sacrificing. They tend to get sick a lot, have immune system issues, and often are low in vitamin D or have weak digestive systems. They really need a nourishing diet: warm foods, not cold foods. They should be consuming gut tonics, like bone broth or kombucha, to rebuild the gut. They need protein but also a lot of good, healthy fat, like avocado, olive oil, ghee, or MCT (medium-chain triglyceride) oils in the form of coconut oil. Often they’re spilling or losing fat, which is why they can’t hold on to their fat-soluble vitamins. Many do great on vitamin D, astragalus, turkey tail, or umcka, which is a medicinal plant from South Africa. Try restorative exercises, like yoga, Tai Chi, or Qigong, that allow movement in a way that is calming without taxing the adrenals. Nightingales are a little delicate. They need rest, sleep, even just permission to take a nap for a period of time. They won’t be Nightingales forever; they need, too, that sense of being nurtured rather than always having to nurture everyone else.